When I first started running, eleven years ago, I took with me an egg timer. 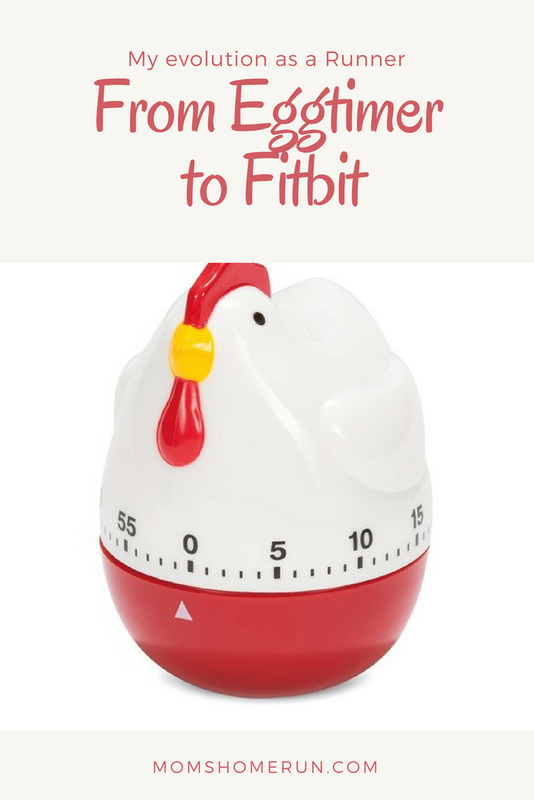 I was following a couch to 5k training plan, and I needed the egg timer to tell me if I could stop running already. After a while I started to take myself and my running seriously enough to invest in a real watch. It cost about 4 bucks, but I managed to make it beep every 11 minutes. So I ran 10 minutes, walked 1 minute and repeated that. I didn't get any other use out of it, because I didn't understand the manual. This watch was followed by the Nike Chip and sensor. I bought a second hand iPod and by using the Nike Chip and sensor I could see how far I had run. I really liked the Nike Chip, and the fact that all the info from my run was automatically sent to the Nike+ website. I think it was about three years ago I invested in a heart monitor. The heart monitor proved to be quite a revelation: it turned out I didn't have to run as fast as I was trying to, to get a good work out. I liked it even better than my Nike Chip and Sensor. And after buying a Samsung smart phone I tossed the Nike Chip and sensor to the curb, because Runkeeper works as a GPS and tells me how much miles I have run too. And my Polar heart monitor told me how many calories I have burned, so my Nike Chip had become obsolete. But I also read a lot about the Garmin Forerunner. It seems like all the 'real' runners are using it. After some time my Polar heart monitor didn't work properly anymore. At the moment I use a Fitbit Charge 2. I know this is not technically a sports watch but an activity tracker. But it offers me the kind of information I like. I don't need anymore, and I like the way it's so easy to use. What kind of gadgets do you use during your run? Love your comment about your first watch because I've had digital ones I couldn't figure out how to set. I usually stick with an analog because its easier to set but it has no alarm. Thank you for sharing.